At most gyms, boxers tend to crack jokes during warmups before going into the ring. Not at The Summit, not when Gennady Golovkin is leading the pack. BIG BEAR, Calif. — Abel Sanchez jumped out of his vehicle to greet his guests who managed to escape the scorching Las Vegas heat in late July. They were there for a training camp visit with middleweight champion Gennady Golovkin on top of a mountain 7,000 feet above sea level. 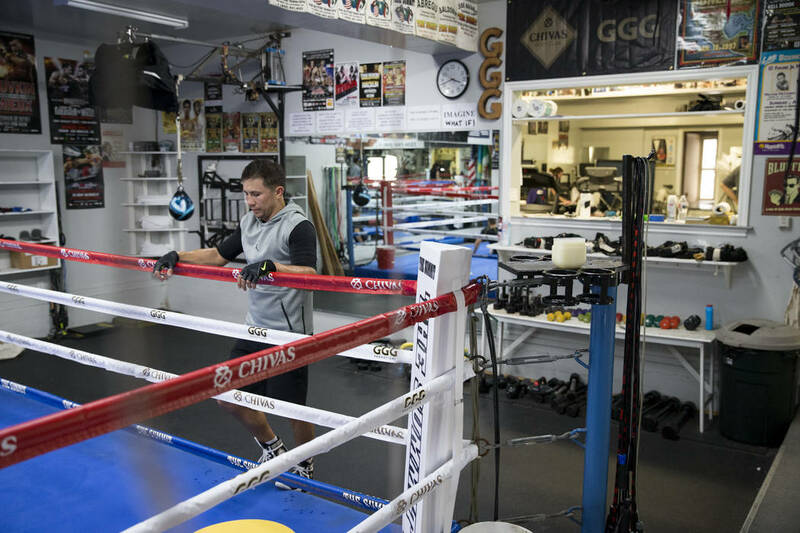 Sanchez trains Golovkin inside a two-story house that sticks out on a quiet block in Big Bear, a city 60 miles outside of the Los Angeles area where tourists enjoy family-friendly ski resorts. The white home with chipped paint towers over the other residences with cabin-like features. 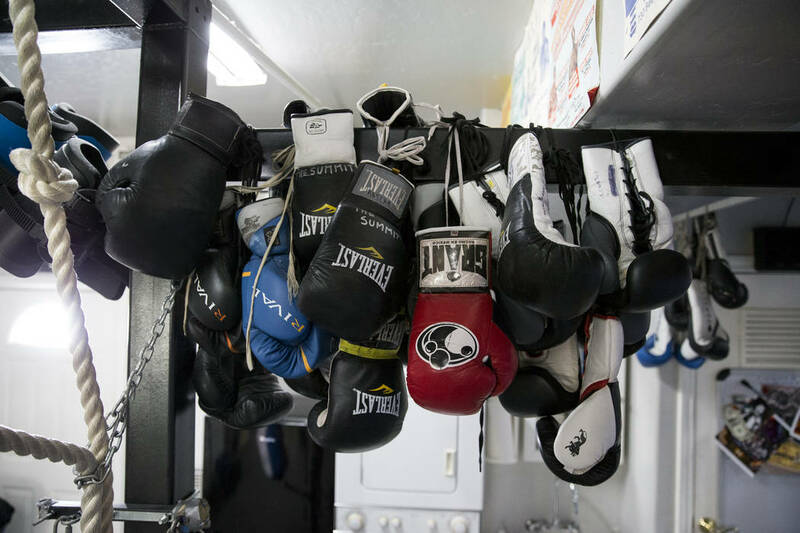 Inside Sanchez’s The Summit Gym, which is located on the first floor, Golovkin and his two stablemates, Murat Gassiev and Ruslan Madiev, jumped rope nonstop for about 15 minutes. 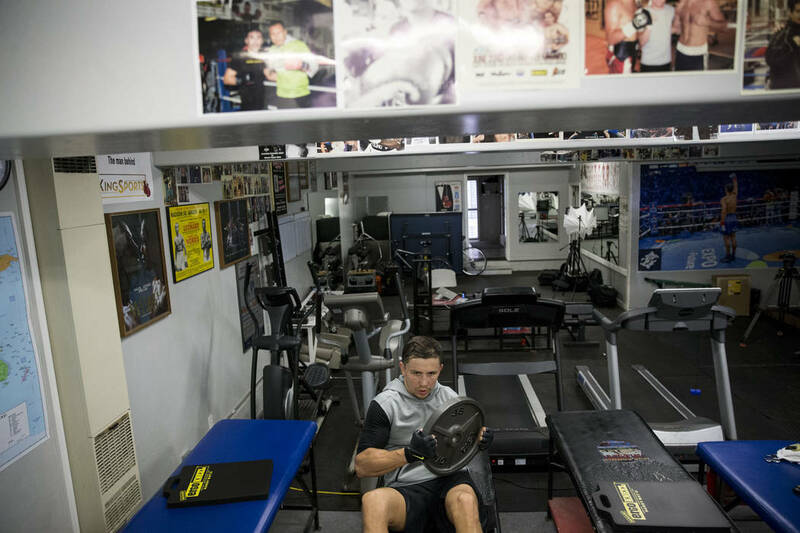 Golovkin, who rose to boxing fame because of his knockout power, looked fiercely at his reflection in the mirror, never blinking, as Russian rap blasted in the corner of the gym. Suddenly the music stopped, and no one seemed to care. The three boxers dropped the ropes and walked over to the other side of the gym for core exercises. At most gyms, boxers tend to crack jokes during warmups before going into the ring. Not at The Summit, not when Golovkin is leading the pack. No one said a word for the next 30 minutes. Golovkin broke the silence by saying something in Russian that made Gassiev burst into laughter. Then it was back to business as the trio entered the ring for shadow boxing drills. The boxers weren’t alone. 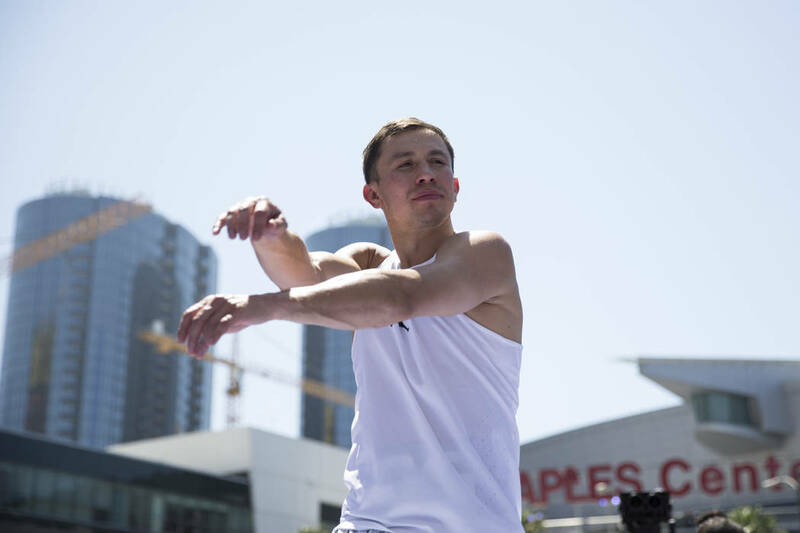 Two camera crews followed Golovkin around for video coverage of his mega middleweight showdown against Saul “Canelo” Alvarez on Sept. 16 at T-Mobile Arena. The cameras a few inches away from Golovkin’s face didn’t bother the fighter known as “Triple G.” But camera phones are a different story. A reporter took out his phone for a quick Snapchat video of Golovkin shadow boxing. An agitated Golovkin stopped. “Do you want a private video?” Golovkin asked sarcastically. 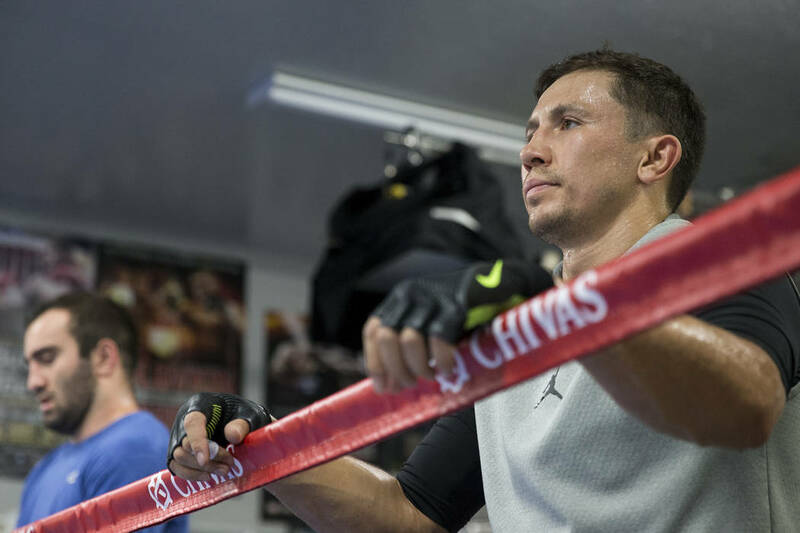 Golovkin went back to his workout, but by then he had lost his focus. And to the Kazakhstan native, focus is everything. He had a few words for his trainer and promoter Tom Loeffler and stormed off for a bike run. “He’s very serious about this training camp,” Loeffler said. “He’s always really well prepared for every fight he gets into. But this fight, you can really tell he’s very serious. A calmed Golovkin returned 15 minutes later from his bike ride and picked up where he left off like nothing ever happened. “I think he’s more mad at us for not telling you guys the rules about the phones,” Sanchez said. Golovkin takes the gym rules seriously just like his career. He knows one mistake in boxing could cost him the fight, or worse, his life. Sanchez, 62, experienced early success as a trainer when he was guiding Terry Norris in the 1980s and 1990s. He’s trained 17 world champions, but Sanchez was forgotten for nearly a decade before Golovkin walked into his gym seven years ago. Sanchez believes Golovkin’s best performance will come out against Alvarez (49-1-1, 34 knockouts). The sports books have Golovkin (37-0, 33 knockouts) as a minus-140 favorite, but the tide has started to shift. Many believe Golovkin at age 35 is on the decline while the younger Alvarez, 27, is entering his prime. 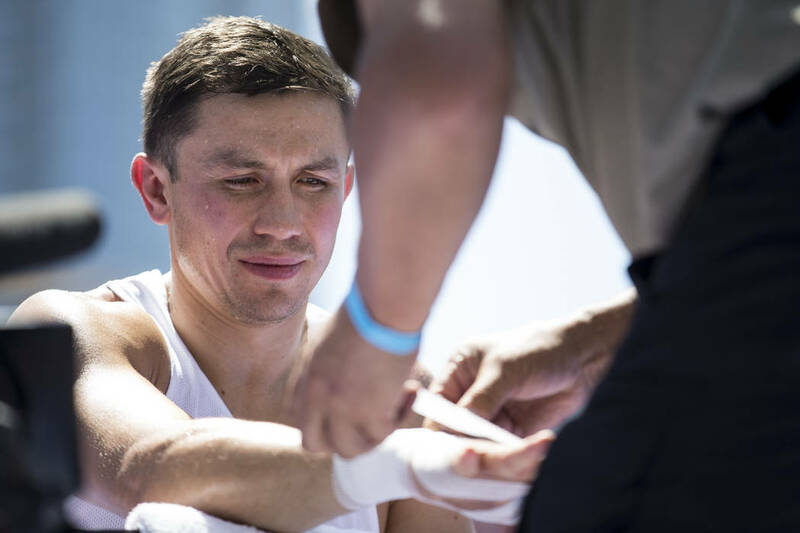 That has fueled Golovkin to put in the extra work at The Summit, which opened its doors in 2008 and has developed a reputation for militarylike training. A year ago, Golovkin was the heavy favorite to defeat Alvarez, but the fight was delayed 16 months by Alvarez’s promoter. The extra time helped Alvarez form into a true middleweight, and now this showdown is as 50-50 as it gets. 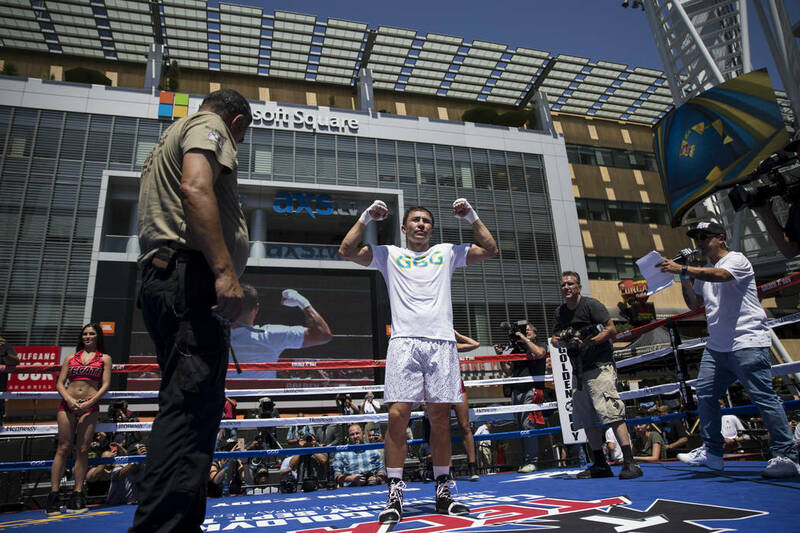 Hundreds of boxing fans attended Golovkin and Alvarez’s public workouts last month in downtown Los Angeles. The majority were of Latino descent, and most were there to support the Mexican star Alvarez, but Golovkin had his fair share of Spanish-speaking supporters. Sanchez, who was born in Tijuana, Mexico, and raised in Southern California, made sure Golovkin embraced his brawler approach. Golovkin is usually in a happy mood when it comes to his fans. He flashes a memorable smile and makes sure to give them a bow after each performance. But nothing gets the crowd going like a Golovkin knockout, and there have been a lot of them. Golovkin, who has never tasted the canvas in almost 400 professional and amateur bouts, recently had a streak of 23 straight knockouts, a big reason why many fighters avoided the silver medalist from Kazakhstan. Golovkin waited almost 20 years for his megabout on the grandest stage. 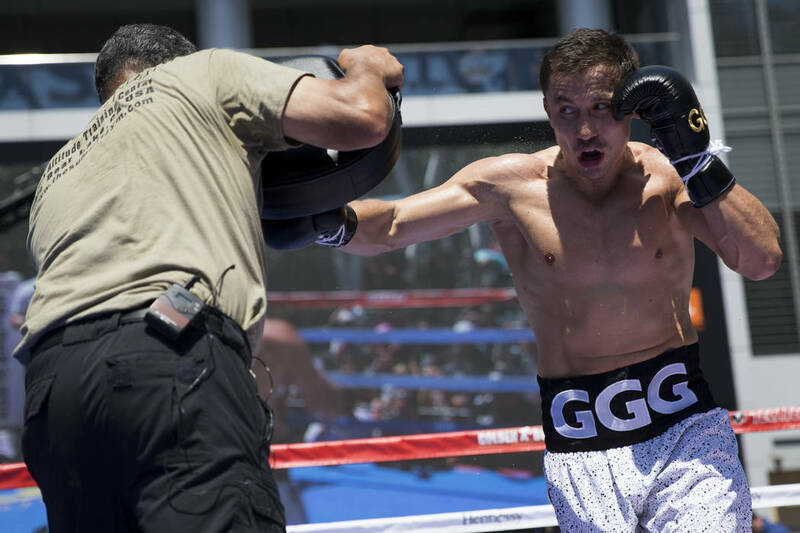 “Abel (Sanchez) supported me, he opened my eyes to a Mexican style,” Golovkin said. “He bring new style. Mexican style is an extra bonus to people. I know I’m not from United States. I understand I need to destroy everybody, and people, Mexican people, like true boxing fans, love it. Golovkin created headlines when he said during an interview he has considered making the Alvarez fight the last one of his career. But Sanchez and Loeffler don’t see retirement happening any time soon. They believe his words were taken out of context. Golovkin speaks limited English and tends to keep his answers short during interviews. “The way he said it, because he speaks little English, is that his wife wants to spend more time with him,” Sanchez said. “His family wants to spend more time with him. He’s got a child and I’m sure he would like to have more children, so he would like to spend more time at home. Golovkin, who has endorsements from Jordan, Hublot and Chivas Regal Whisky, doesn’t have much of a social life outside of boxing. He spends his free time with his wife and 9-year-old son and enjoys watching him play hockey. “Gennady has become a hockey dad,” Loeffler said. “His son is a tremendous talent. The son is in good hands with a middleweight champion who takes his craft very seriously.